Jimmy Kimmel asked parents to record themselves telling kids they had eaten their Halloween candy and post the reactions on YouTube. A top Trending video. A rap song in the theme of the classic Nintendo series. As seen on BuzzFeed. In this Most Shared video, Quicksilver celebrates surfer Kelly Slater's record 11th ASP championship, which he won Wednesday. 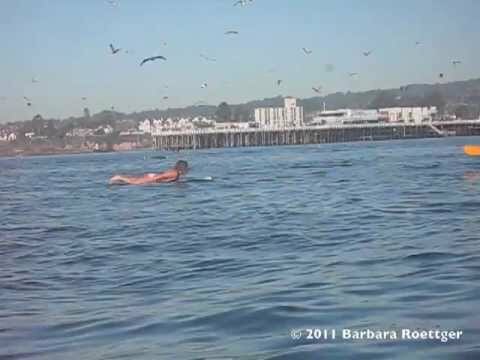 A woman floating off the coast of Santa Cruz gets a surprise. As seen on Daily Wh.at.